APEX Fuels was the place to go for $1.99/gallon gas this week. Waiting for Godot had nothing Saturday on waiting for Ladeau — and his APEX Fuels gas tanker. With a special promotional price of $1.99 and 9/10 cents per gallon of regular unleaded — $2.09.9 and $2.19.9 for higher grades — a line of vehicles snaked around the station and the block. Nobody moved. Pumps were dry with a third gas tanker of the day on the way by all reports. They were waiting for APEX Fuels gas tanker driver Adam Ladeau and his load. 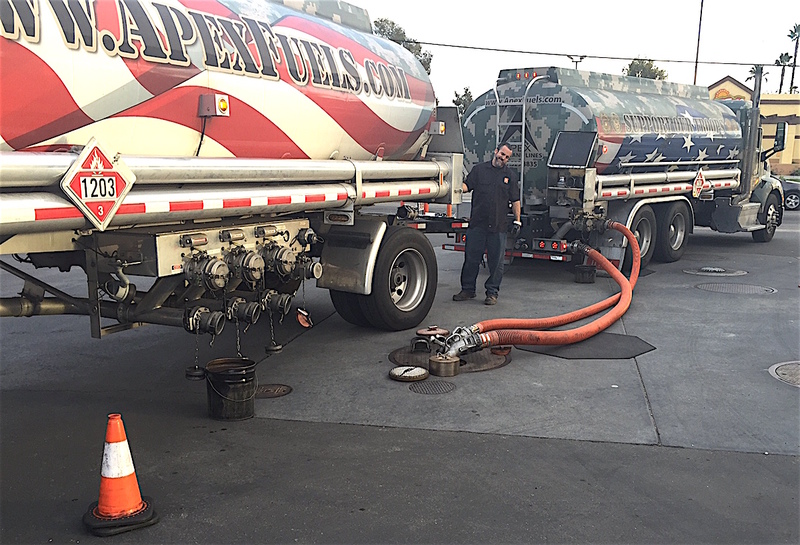 Usually, the station at the northeast corner of E Valley Parkway and Rose Street goes through one tanker truck of gas a week, a clerk said. 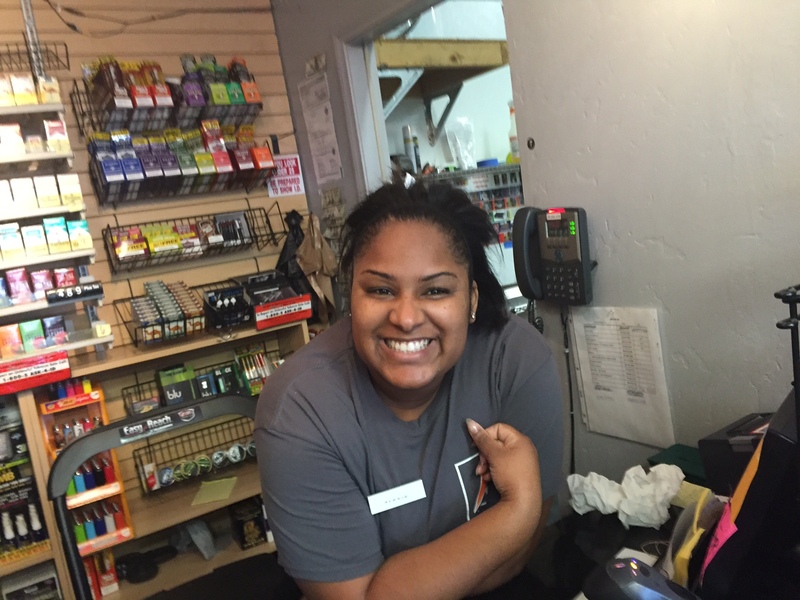 “We sat here for about a half hour earlier today and never got gas,” Escondido driver Linda Peart said around 3:30 p.m. as her husband Dan Peart, a maintenance technician, went into the small APEX convenience mart to buy another pack of smokes. APEX clerk Alexis McLaurin, a Mira Costa College student from Oceanside, said she came on shift around 11 a.m. When asked how it was going, the bedraggled clerk gave a simple, one-word answer. “Disaster,” she said. APEX clerk Alexis McLaurin said three gas tankers had brought gasoline to the store Saturday. Usually, a tanker shipment lasts a week. Maybe disaster wasn’t the word APEX Fuels owners might use. It looked like a very good promotion from a business perspective. People who weren’t buying gas were at the convenience store buying convenient stuff. Word got out out early and often, with people finding out about the sub-$2 price through every which way they could. Meanwhile, about 15 vehicles of all shapes, sizes and description idled by the pumps with just one itsy-bitsy item missing — gasoline. The tanker was late. The crowd grew increasingly restless. 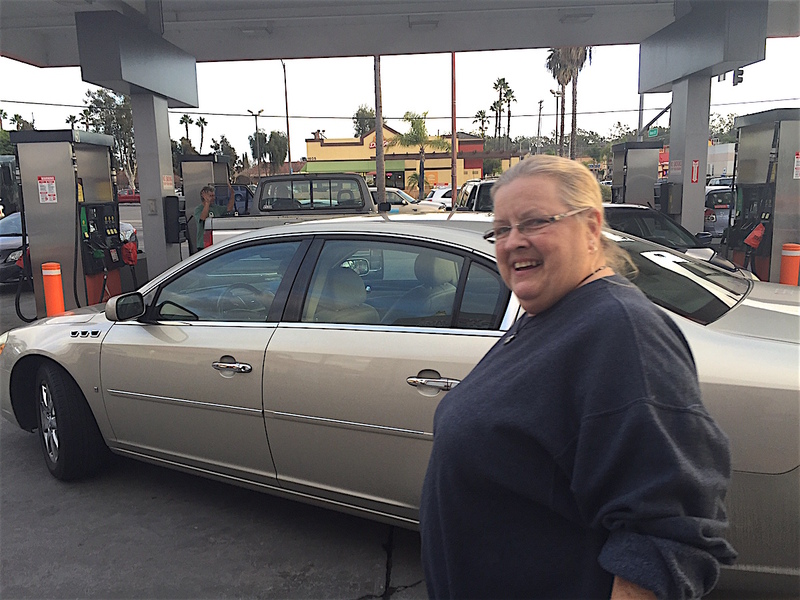 Linda Peart waited, and then waited some more, for under$2 a gallon gas. Under no circumstances could one call the lines of vehicles orderly as they created eddies and pockets around pump island entrances many vehicles pointed only in the general direction of the pumps. A few drivers jostled for position, kind of like quarter horse jockeys waiting for the starting gate to open at Los Alamitos. Still no 4 p.m. tanker to be seen. However, have no fear, the Red Sea parted at 4:23 p.m. as the cavalry in the form of multiple-trailer tanker truck, and Godot-like anticipated driver, Adam Ladeau pulled around the station and into his appointed position. 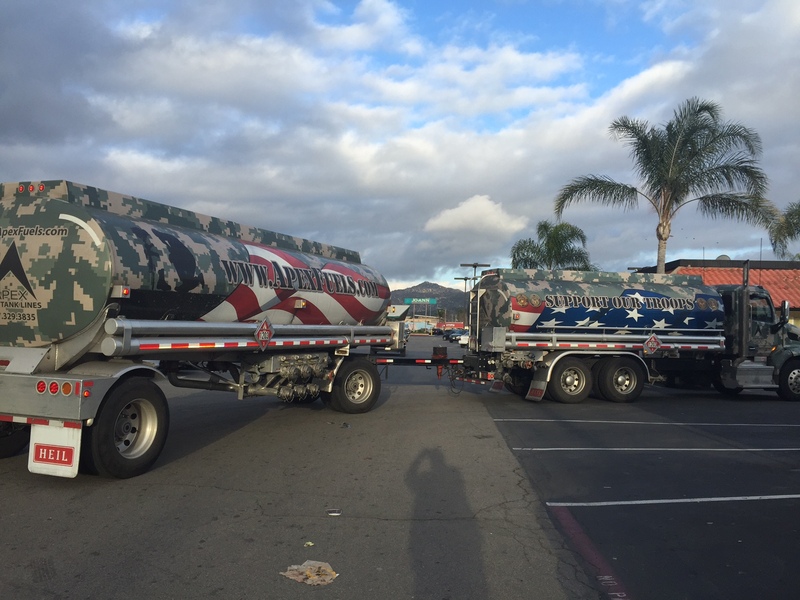 The tanker was painted in desert camouflage, red-white-and-blue designs, and adorned with patriotic messages and, of course, company website address. This brought many out of their vehicles and even a smattering of applause and smart phone photo-taking. Saying, “It’s all in a day’s work, all I know is they told me to to drive here and I’m here,” Ladeau pumped gas into the station’s storage compartments as drivers stood at the ready, Sooners waiting for the Oklahoma Territory to open, and to pounce. 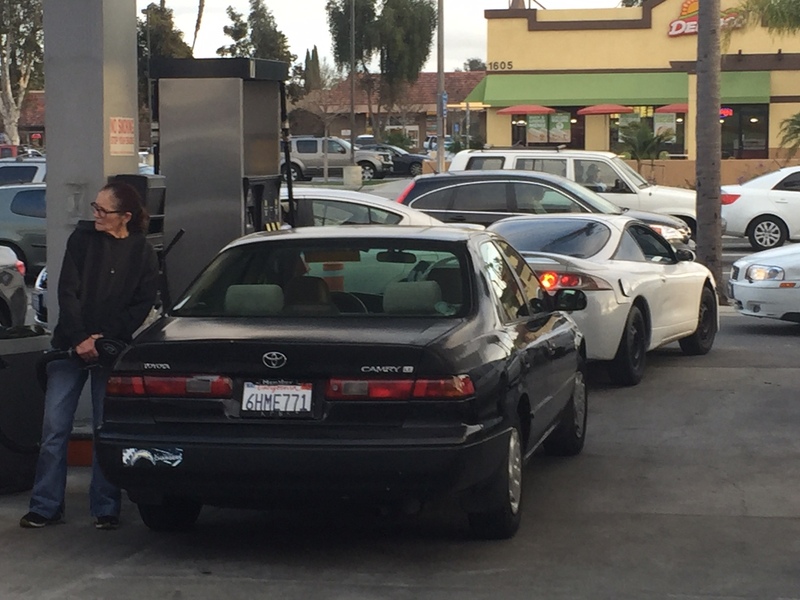 At around 4:45 p.m., the mad dash for gas was on, with about 25 cars in line looking like a flashback scene to 1980 gas lines, this time caused by better prices, not fuel shortages. 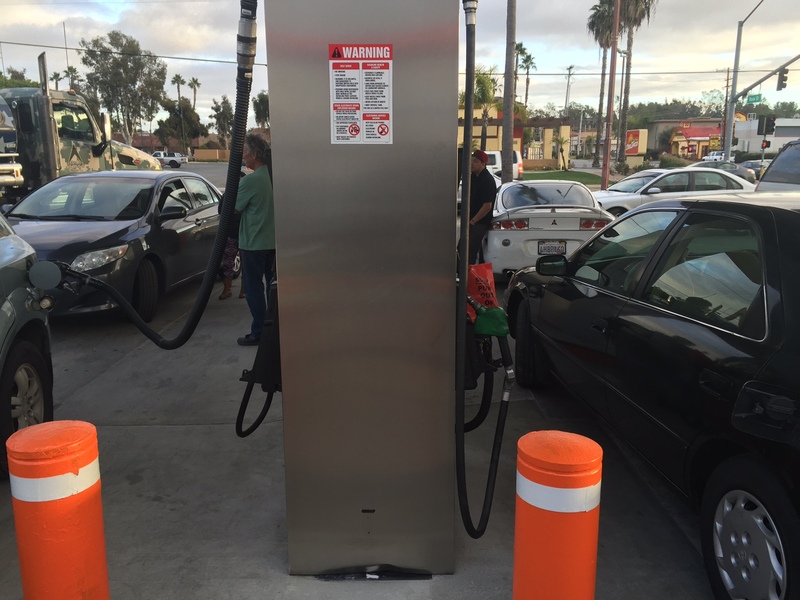 Based at Temecula, APEX has several stations in San Diego and Riverside counties. The Otay Mesa station reportedly had a similar $1.99 price recently, held with much less fanfare. 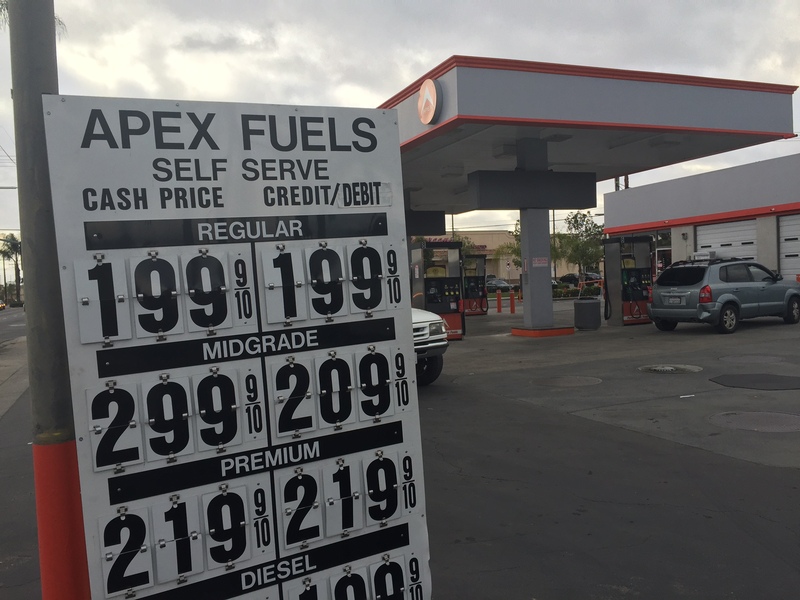 Escondido’s homage to under-$2 gas is believed to be the only such pricing in Southern California at the moment. The station is at 1602 E Valley Parkway. Reservations are not accepted, so no use calling ahead. Station hours are from 5 a.m. to 11 p.m. The promotion, again, reportedly lasts through Thursday. Gas might or might not be there when you arrive. Ladeau has come and gone for now. As for Godot, they’re still waiting. Allover but the pumping at APEX Fuels Saturday. 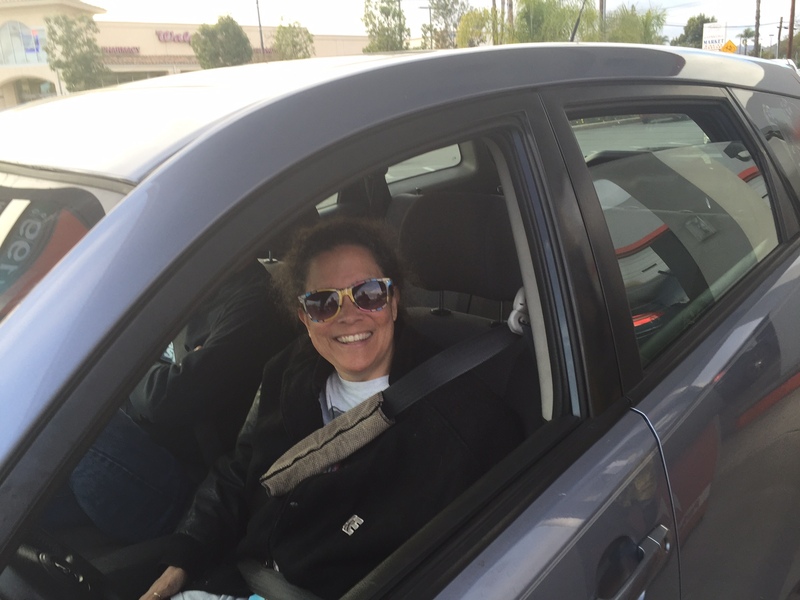 Lori Schwartz waits for gas at APEX. No rest for the weary pumps as they were in use non-stop, except for periods when the station ran out of gas. Be the first to comment on "Waiting for $1.99 a gallon gas and Ladeau"